3. Mode switch is in lower position – laser on with max power, light is off. 1. Mode switch is in central position. Single press – laser on. To turn off press again. Double press (0.5 sec) – laser on in 2 Hz strobe mode. To turn off press again. When laser is on pressing and holding for more then 0.5 sec – laser power adjustment (1/2,1/4,1/8,1/16,1/32). If laser is on, double pressing (0.5 sec) will turn light and laser at max power. 2. Mode switch is in upper position. 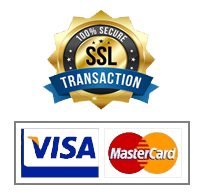 Single press – light and laser on at max power. To turn off press again. Double press (0.5 sec) – light and laser are on in 12 Hz strobe mode. To turn off press again. When light and laser are on double press (0.5 sec) and hold to adjust light power. If light and laser are on, double press (0.5 sec) to set max power. 3. Mode switch in lower position. Tactical mode. Press and hold to turn light and laser at max power. Unpress to turn off. Double press and hold to turn light and laser in 12 Hz strobe mode. 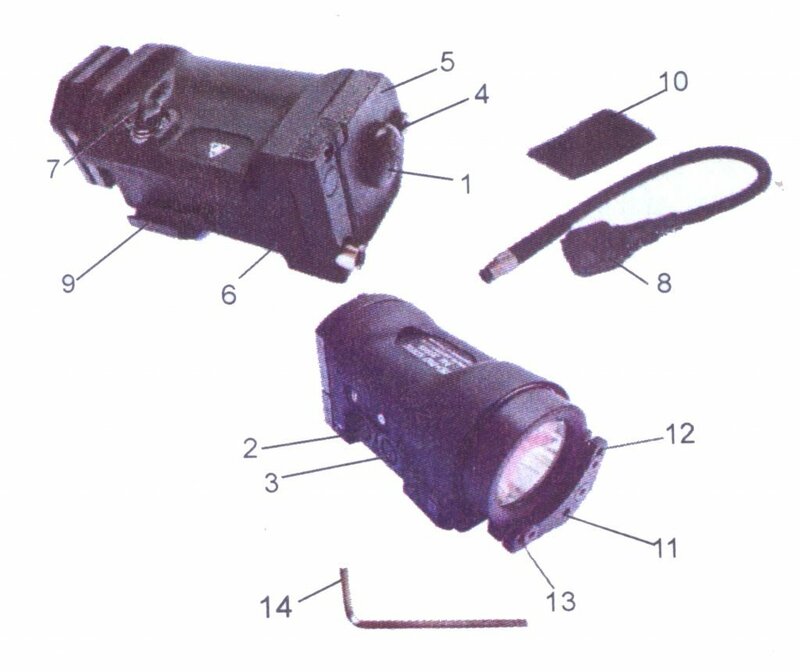 Operating instructions: If the remote switch is not attached and rear switch is pressed, buttons Ф and Л controls flashlight and laser. 1. Ф button controls the light. Single press of Ф button turns the light on. Double press turns on strobe mode. Pressing Ф button again will turn off the light. 2.Л button controls the laser. Single press of Л button turns the laser on. Double press turns on strobe mode. Pressing Л button again will turn off the laser. 3.When Ф button is engaged, pressing the rear button and holding it for more than 2 seconds will reduce the light power. 4.When attached, the remote switch replaces the rear switch functions. The rear switch will turn off when the remote switch is connected. 5.Double pressing the rear switch when the light is on turns on the light on max power. Double pressing the rear switch when the light is off turns on the strobe mode. The rotary switch has three positions. Middle position (0, storage mode) – unit is blocked and all buttons are switched off. 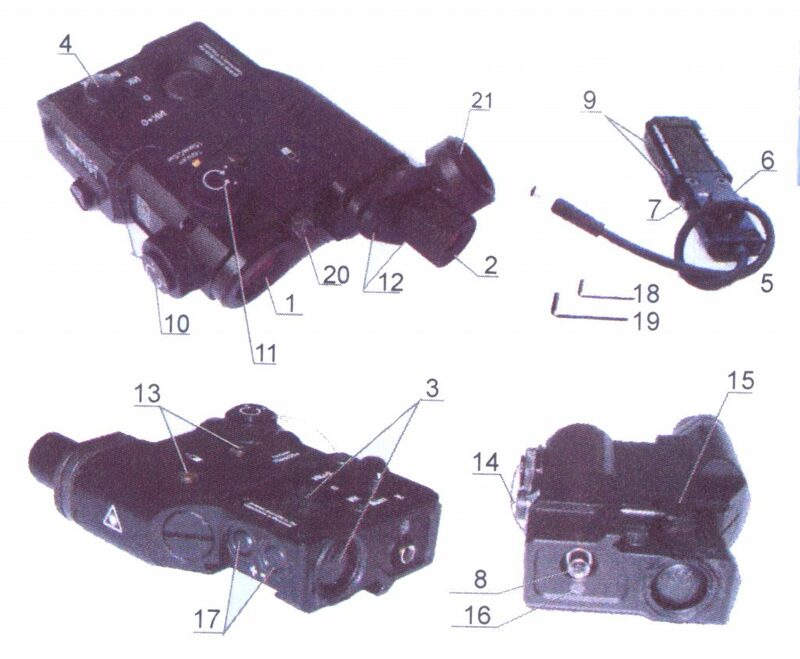 К (Г in case if you have green laser module) position – visible laser and red LED indicator are on. ИК – IR laser and blue IR indicator are on. Upper, rear and remote switches have the same functions. Short pressing one of the switches turns selected laser constantly on. Pressing again will turn it off. Pressing and holding button will turn laser on and it will turn off after releasing the button. Double pressing the button turns on 2 Hz strobe mode. Double pressing and holding the button will turn 2 Hz strobe mode on and it will turn off after releasing the button. If the laser is turned on, you can adjust power with + and – buttons. Visible laser has 5 power levels, IR one has 8. You can also adjust brightness of LED indicators by pressing and holding on/off button and pressing + or – buttons. After turning the unit off, the power and mode settings are saved. Operating mode is pre-selected with 5 positions rotary switch. К (Г for green laser model) – visible laser on, LED indicator is red. Выкл – storage mode, buttons are blocked, unit is shut down. 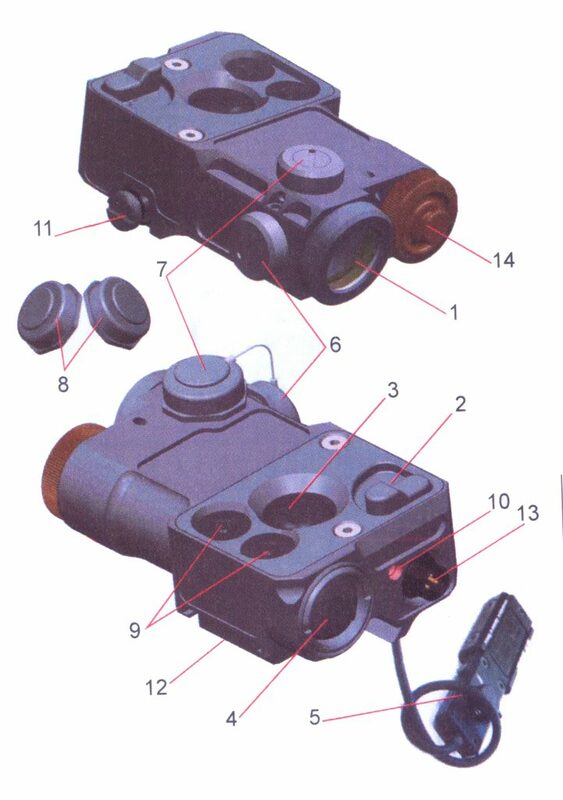 ИК – IR laser is on, LED indicator is blue. О – IR illuminator is on, LED indicator is blue. 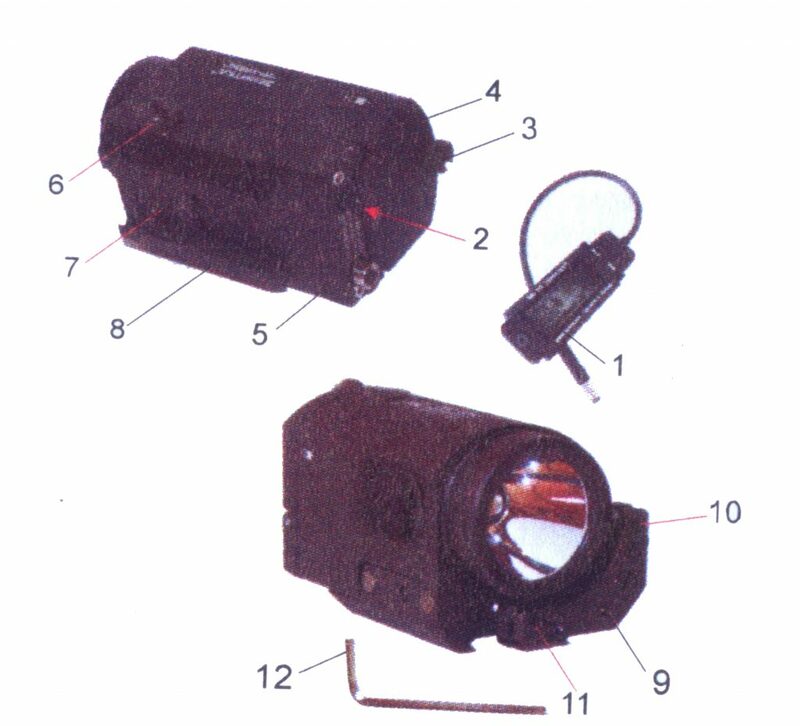 ИК+О – both IR laser and IR illuminator are on. Upper, rear and remote switches have the same functions. Power is adjusted by pressing + or – buttons or rotating adjustment wheel on KV-5P switch. You can also adjust brightness of LED indicators by pressing and holding on/off button and pressing + or – buttons. Short pressing one of the switches turns selected laser or illuminator constantly on. Pressing again will turn it off. Pressing and holding button will turn laser on and it will turn off after releasing the button. Double pressing the button turns on 2 Hz strobe mode. Double pressing and holding the button will turn 2 Hz strobe mode on and it will turn off after releasing the button. After turning the unit off, the power and mode settings are saved. When zeroing IR illuminator you should ONLY use two adjustment screws (12 on the picture).